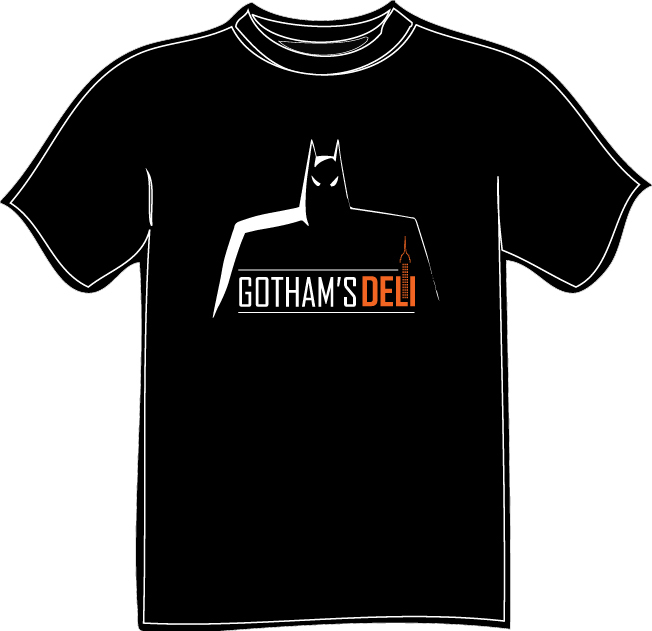 Gotham's Deli | Gotham's Deli Batman T-shirt. 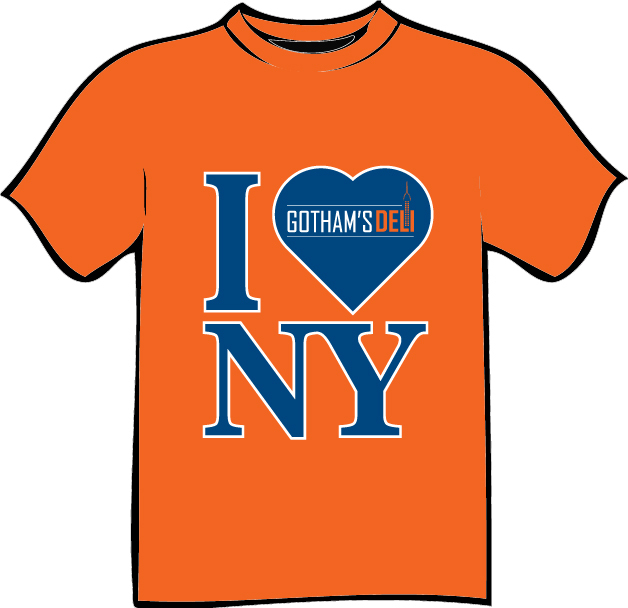 Owned and operated by native New Yorker Scott Gandolph and his wife Lisa. 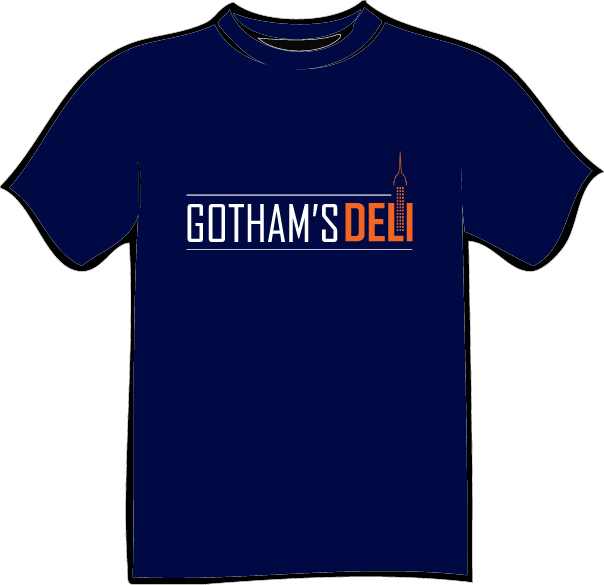 This New York Style Deli opened in July of 2003. Scott was born and raised on Long Island, New York. Scott Moved to Illinois where he met Lisa. Scott and Lisa have 6 children (all of whom have or do work in the deli) and 6 grand children. 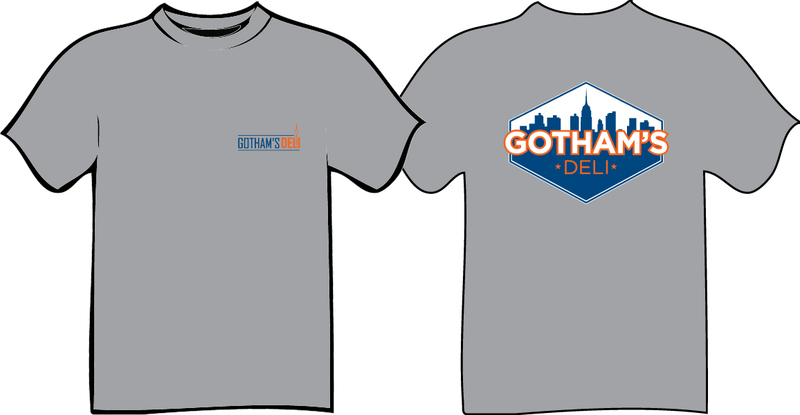 Scott & Lisa continue to enjoy serving the people of Johnston County by bringing a taste of New York to the south. Lisa is a master at making fresh made salads and desserts, a talent which she has passed onto their kids. Hail a Cab, or just stop by in downtown Smithfield, NC, you'll think your visiting New York City. 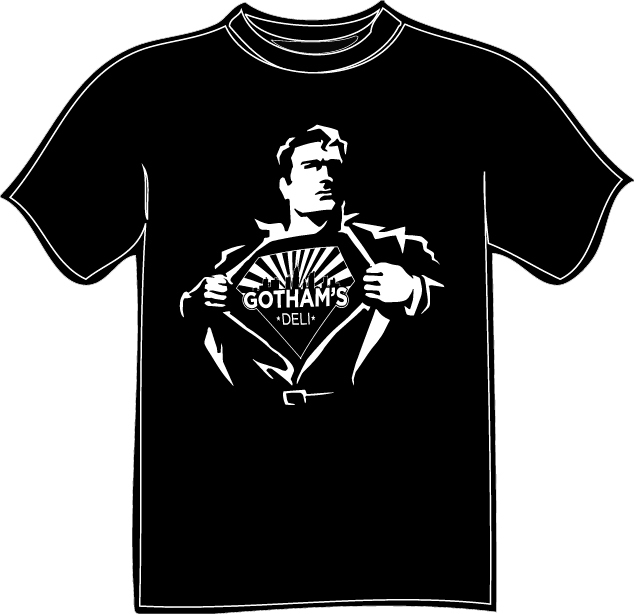 Copyright © Gotham's Deli - All Rights Reserved.